Camlab Aqua Diagnostic PeCOD L100 Chemical Oxygen Demand COD Analyzer . New Life Scientific, Inc. 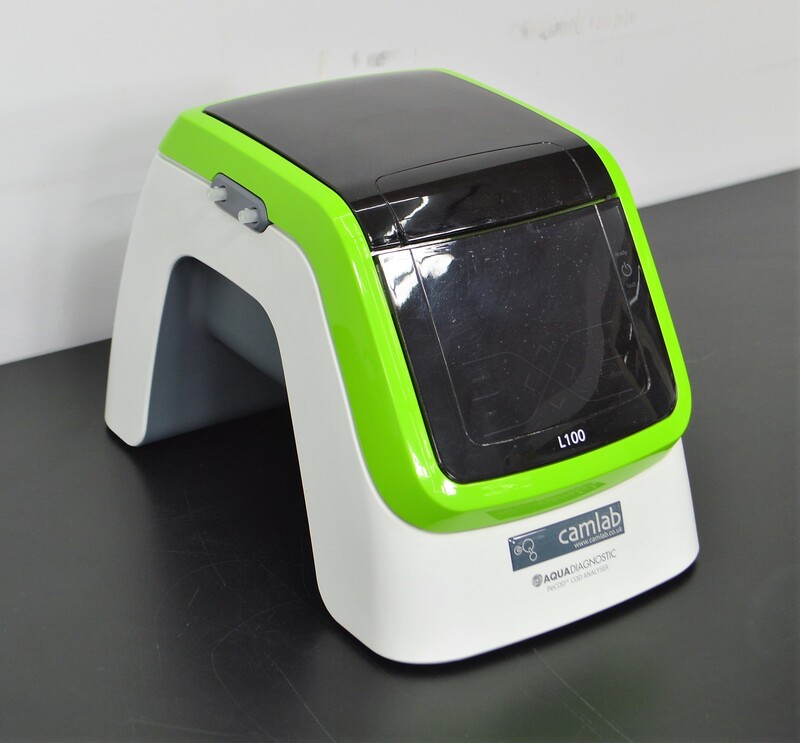 The PeCOD L100 accurately detects COD in samples from a variety of sources and has been designed to overcome many of the problems encountered by existing COD methods. Results can be obtained in as little as 3 minutes using the "rapid" mode and 6 minutes using the "precise" mode, overcoming the big problem of time delays encountered by other chemical oxidation methods. This particular instrument is in great cosmetic condition, with few scratches or scuffs. USB cable and optional battery pack are not included. Our on-site technicians tested the PeCOD L100 with a dry run and found it to be in good working condition. Reagents were not available during the testing process so a complete run was not performed.